Walk the Moon and I have an interesting relationship. I've followed them ever since they released their debut LP 'I want! I want!' back in Jan 2011. Well here we are in 2012 and these guys are making a name for themselves with a brand new album. This one track in particular 'Shiver Shiver' makes me extremely happy to see them back in action. 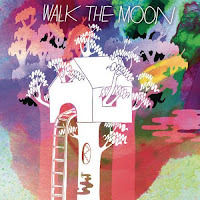 It's everything Walk the Moon have ever been about - real honest music but with a delectable and bouncy backdrop.